Okay, so I am a little late to the party with this book. It was published in 2014 by Burning Eye Books, and has been sitting on my bookshelf for about two years (for shame), but it's fashionable to be late, right? 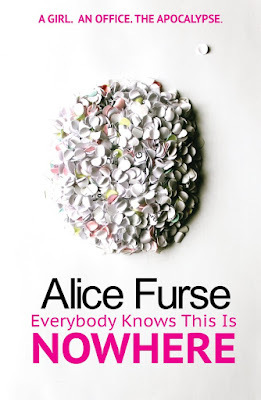 Everybody Knows This Is Nowhere is the debut novel by Alice Furse, about a nameless protagonist who struggles to find meaning in her hum drum post-graduate life. The tagline on the front cover is "A Girl. An Office. The Apocalypse" and the blurb on the back reads "As her days fill with low paid office work and her boyfriend abandons ambition, a young woman believes there must be an apocalypse on the horizon and hatches a dramatic plan to escape". Maybe, naively (? ), I was expecting a wry take on an impending apocalypse, something akin to Seeking A Friend For The End of the World or Don McKellar's Last Night. 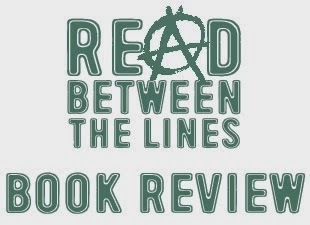 But there is no apocalypse (other than, perhaps, a metaphorical one), the protagonist never mentions the imminent destruction of the world nor the salvation of the righteous (the word apocalypse is mentioned more times in this review thus far than it was in the book), and the protagonist does not in any way "hatch a dramatic plan to escape". I don't know, maybe I missed something, maybe I am just an idiot, or maybe I am just focusing on the wrong thing here, but I feel that the selling of the apocalypse angle does a massive disservice to what is otherwise a really bloody brilliant book. To not only see the extraordinary in the couldn't-be-more-ordinary is one thing, but to bring it to life and make it sing the way Alice does is exceptional writing. There is a funny passage when the protagonist criticises Charles Bukowski's novel Women for being too unrealistic, and you could almost level the opposite criticism at Everybody Knows This Is Nowhere. It perfectly captures the realities and the restlessness of being twenty-something and lost. At times it is uncomfortable. At times it is hilarious. At times you want to grab her boyfriend by the scruff of the neck and tell him to turn his bloody Xbox off and at times you realise that you were that boyfriend that was more interested in his Xbox than anything else (No? Just me then?). This really is a brilliant read and I highly recommend it. Just don't get too hung up on the whole apocalypse thing, like I did. Grab a copy right now from Burning Eye Books.